Please note: This course is not affiliated in any way with CCE and does not lead to the BC-TMH designation. Michael Jones, Ed.S, LPC-S, NCC, DCC is a licensed psychotherapist specializing in adults and adolescents. He maintains his private practice, Renewed Vision Counseling Services, in Searcy, AR. He began his career in counseling working with drug and alcohol addicted clientele in an outpatient setting. He has also worked in counseling settings that include: community mental health, psychiatric hospital, school based mental health, and church based pastoral counseling. 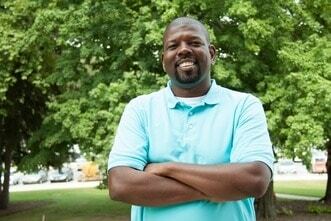 He has practiced as a counselor in the state of Arkansas, Ohio, Pennsylvania, and Tennessee. He is also a counselor educator. How do I obtain continuing education units for this course? After you complete the course and pass final quiz with at least 75%, you will automatically be given a certificate of completion with 15 clock hours of credit for: NBCC. You will have access to this course for 365 days after your purchase. This course includes video and text-based documents as components. What if I have issues while I am taking the course? Enroll in this course now!